Alarm 2: A Week Before Returning To New York JFK From Moscow! "Had the plot been carried out, it could have resulted in unfathomable damage, deaths and destruction"
US attorney Roslynn Mauskopf said the plot was "chilling"
Four people have been charged in the US over a plot to bomb John F Kennedy airport in New York, US officials said. They include a former cargo worker and a former MP for the Caribbean nation of Guyana. One of the suspects is a fugitive, believed to be in Trinidad. The plot, which did not go past the planning stages, involved blowing up the airport's fuel tanks and pipeline, justice department officials said. One arrest was in New York and the other two took place in Trinidad. 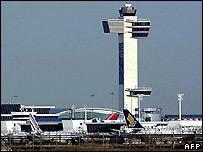 The four men are charged with conspiring to bomb one of the busiest airports in the United States. It was "one of the most chilling plots imaginable," US attorney Roslynn Mauskopf told a news conference. "Had the plot been carried out, it could have resulted in unfathomable damage, deaths and destruction." The pipeline is 40 miles (64km) long and carries jet fuel from New Jersey and through the New York boroughs of Staten Island, Brooklyn and Queens. "They took extensive measures to seek expert advice, finances and explosives." The former JFK cargo worker was arrested in Brooklyn late on Friday and named as Russell Defreitas, originally from Guyana. Mr Defreitas was arraigned in New York City on Saturday afternoon, but did not enter a plea. He is to be held pending a bail hearing on Wednesday, US prosecutors said. Guyanese citizen Abdul Kadir, a former member of Guyana's parliament, and Kareem Ibrahim, from Trinidad, are in custody in Trinidad and Tobago. Abdul Nur, from Guyana, is still being sought and is believed to be in Trinidad and Tobago. The alleged plot was brought to light when Mr Defreitas recruited an FBI informant to help him in the plan, officials said. The informant recorded some of the conversations he had with Mr Defreitas. "Any time you hit Kennedy, it is the most hurtful thing to the United States," Mr Defreitas said, according to a recording played to reporters. "To hit John F Kennedy, wow... they love John F Kennedy like he's the man... if you hit that, this whole country will be in mourning. You can kill the man twice." In another recorded conversation the suspect was alleged to have said: "Even the twin towers can't touch it," referring to the attack on the World Trade Centre in New York City on 11 September 2001 that killed more than 3,000 people. "This can destroy the economy of America for some time," Mr Defreitas was alleged to have said. The arrests are the latest in a series of alleged plots targeting American facilities and landmarks. Six men were arrested last month on charges of plotting to attack Fort Dix army base in the state of New Jersey. Three people were arrested in July last year outside the US in connection with a plan to suicide bomb the tunnel under the Hudson River connecting Manhattan with New Jersey. And in June 2006, seven suspects were charged over an alleged plot to destroy the country's tallest building - the Sears Tower in Chicago. US officials say four men charged over an alleged plot to blow up John F Kennedy airport in New York have connections with Muslim extremists, including Jamaat al Muslimeen, a radical Islamic group based in Trinidad. There has been no comment from the group about the allegations. Jamaat al Muslimeen first came to attention in 1990, when it tried to overthrow the government of Trinidad and Tobago. More than 100 armed men stormed the parliament building and took the prime minister and members of the cabinet hostage. The militants surrendered after six days, claiming they had been granted an amnesty. And, although they were arrested a court later agreed they should be freed. Since then Jamaat al Muslimeen has had several run-ins with the authorities. The group was linked to a series of bombings, but denied involvement. Last year, the organisation's leader, Yasin Abu Bakr, was acquitted of charges of conspiracy to murder two former members of his organisation. The population of Trinidad and Tobago is mainly Hindu and Catholic. There is a small Muslim community, most of whom are Asian. But Jamaat al Muslimeen draws its support from the even smaller number of Muslims of African descent. 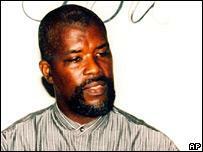 There is little history of Islamic militancy in the Caribbean. But security analysts have suggested the region could be attractive as a base for terrorist groups because of its proximity to the United States, its porous borders and because of the widespread poverty on the islands.